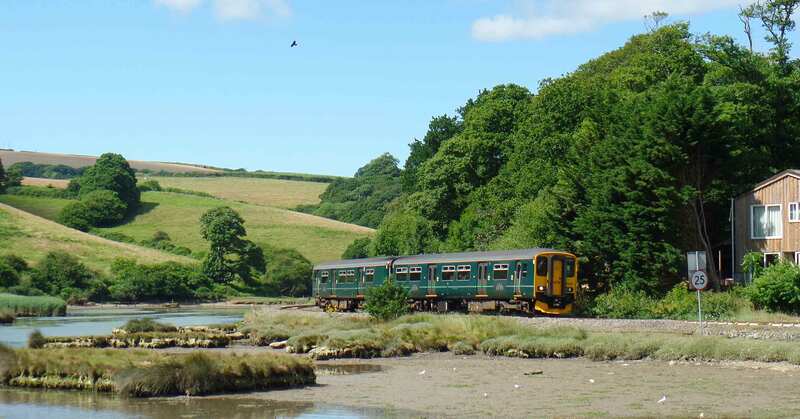 Take the train between Liskeard and Looe and discover the area's award-winning eateries, local produce and foodie events. 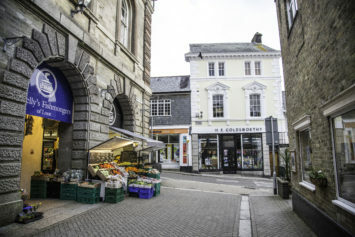 Located on the edge of Bodmin Moor, Liskeard is a busy market town with plenty of independent shops to explore. 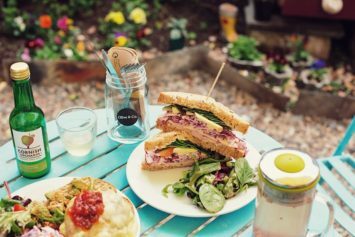 This cafe has a cosy, eclectic feel and a menu that showcases delicious homemade food using local ingredients. 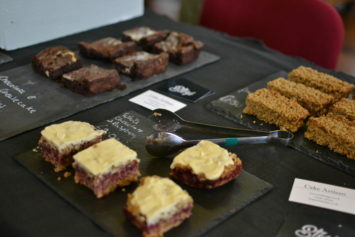 Coffee is from small independent roasters and the menu features a wide range of delights from quesadillas to quiches, to soups and salads and if you like cake you will be in heaven! 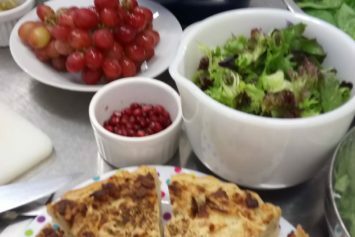 Situated in the Liskerrett centre, this warm and friendly vegetarian cafe serves healthy and hearty food using local ingredients. 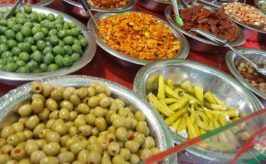 If you are looking for a special night out enjoying food made from the finest local produce, then Tapenades is the place for you. 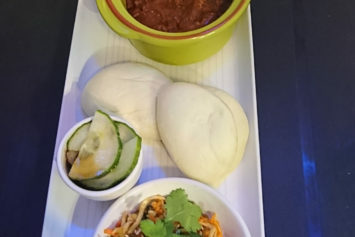 Everything is homemade and prepared to order with dishes such as locally caught crab to roasted rack of lamb. Booking is essential. 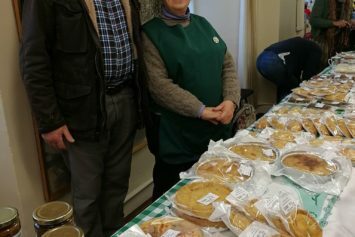 This family run business has been supplying Liskeard with fruit and veg for over 60 years. A member of Growfair since its inception, Beddoes stocks as much Cornish produce as possible with over 30 local suppliers which includes eggs, honey and plants as well as a wide range of fruit and veg. Weekly market featuring local produce, handicrafts, plants and flowers as well as Fairtrade tea and coffee. 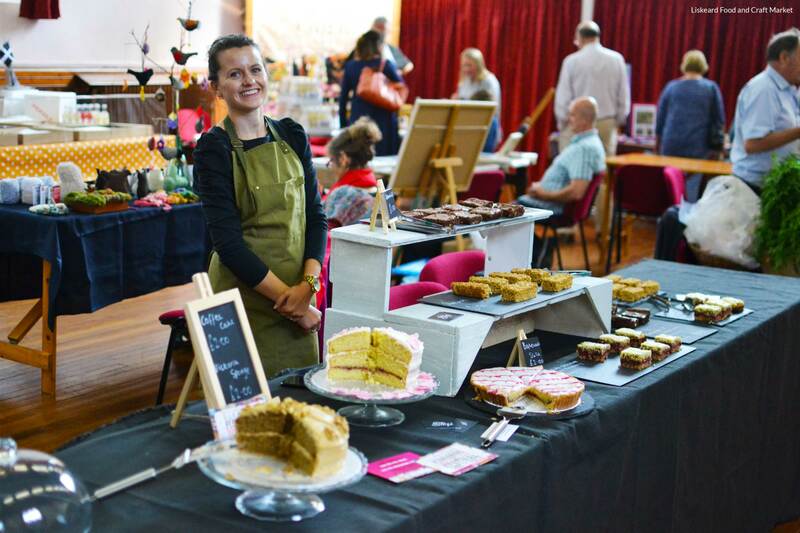 Monthly market featuring locally produced bread, cakes, pasties, vegetables and a range of jewellery and crafts. 09 30- 13 00 on certain Saturdays throughout the year, check website for details. Causeland is the station for Duloe, a pretty little village which has a pub, shop, an interesting stone circle, plenty of lovely local walks and community events throughout the year. 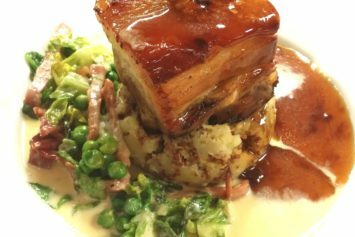 Work up an appetite with the short, but steep walk from the station to the village of Duloe and a friendly welcome awaits at the award winning Plough. Celebrating the finest seasonal produce from the local area, enjoy local day caught fish, homemade fish pie or award-winning alpaca sausages. The picturesque seaside town of Looe has much to discover with its maze of narrow streets, safe beaches and lots of excellent places to eat and drink. 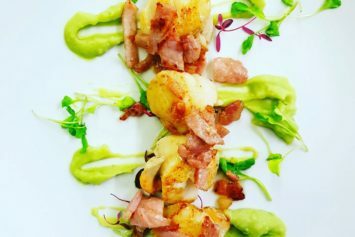 Located 100 m from the beach, this restaurant prides itself on its use of local ingredients with fresh produce delivered daily from a variety of local suppliers. 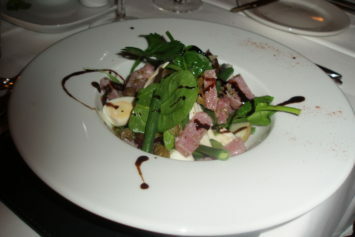 Specialising in fish and seafood there’s also plenty to tempt meat eaters and vegetarians alike. Tucked away from the main street in Looe, set within a beautiful courtyard, this restaurant prides itself on its use of local ingredients and even grows herbs and vegetables in the garden itself. The menu features locally caught fish and seafood as well as a number of dishes from around the world. 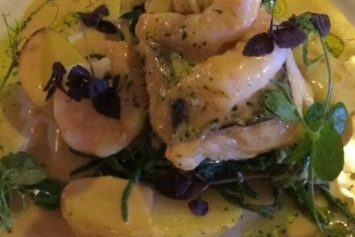 Located in one of the oldest buildings in Looe, formerly a haunt for Smugglers, the Old Sail Loft is an atmospheric restaurant with fine views over the river. The menu reflects the seafaring history of the town with local fish and seafood well represented on the menu. Steaks using local beef are also a speciality and vegetarians are well catered for. This modern cafe situated across from the river has seating inside and out, perfect for those days when the sun shines, and serves locally sourced food and drink at a reasonable price. 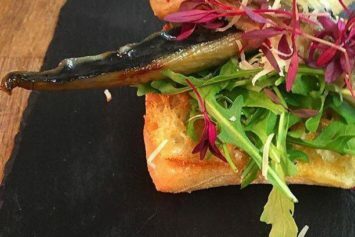 Breakfasts featuring award-winning sausages, a range of sandwiches and soups and even small tapas dishes to enjoy over a glass of wine, all feature of the menu. Lisa and Chris also host a number of special pop-up events throughout the year. 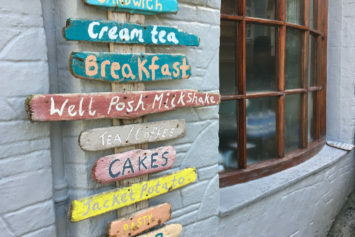 Tucked away in a side street, this cosy cafe welcomes dogs, kids and muddy boots and is a great place to enjoy everything from a heart breakfast to afternoon tea. The daisy shaped scones come in a variety of interesting flavours and are huge! Gluten free and vegetarian options available. Located in West Looe with views of the harbour, this hotel has a restaurant and a bistro to discover. 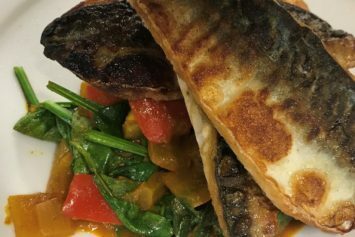 Both boast menus serving hearty Cornish food using local produce. The Sunday carvery is a speciality but booking is essential! 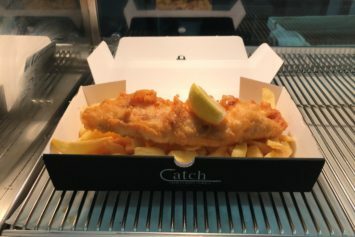 Winner of Best Newcomer 2016 at the National Fish and Chip awards, Catch is a traditional fish and chip takeaway with a modern difference, all the fish served is sustainably sourced through the Marine Stewardship Council with seasonally changing specials from the boats landing fish on their doorstep in Looe harbour. 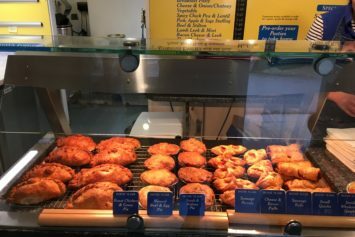 There are a number of pasty shops in Looe to try but for pasties made fresh in front of you with the best quality local ingredients and handmade pastry, it has to be Sarah’s. As well as the traditional steak variety, other more exotic pasties are on the menu, including the locally caught mackerel, horseradish and pea! To avoid disappointment pasties can be ordered in advance. 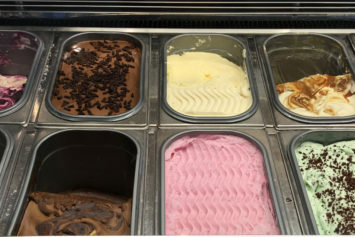 This ice cream parlour is the place to go to sit and enjoy a wide variety of decadent flavoured ice-creams and sorbets using only 100% natural ingredients. Flavours include classics such as chocolate and traditional Cornish vanilla through to more grown up delights such as vodka pink grapefruit. 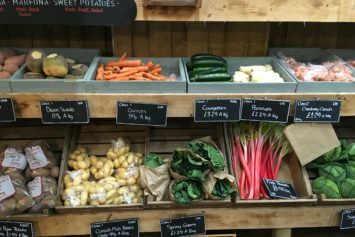 Traditional farm shop selling the freshest Cornish fruit and vegetables, local meat and quality Cornish produce. There is also an on-site post office. The name says it all as everything in this shop is from Cornwall. 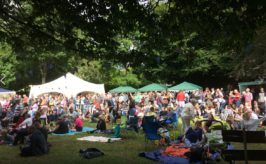 From local meat and organic bread to cider made just up the road, you are sure to find something here to tempt you. Hampers are made to order and you can even have a cream tea delivered. 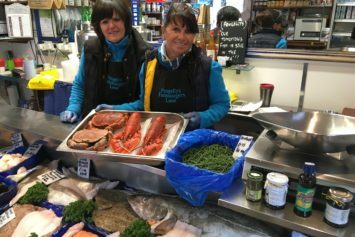 Pengelly’s have been supplying the finest fresh fish for over half a century and sisters Angela and Jackie are keeping this tradition alive in their shop in Looe. Fish caught in day boats means it is as fresh as can be and is caught using sustainable methods. 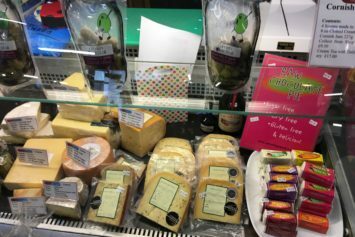 The shop also sells sauces, a selection of local vegetables and herbs and if you don’t know how to cook your chosen fish, there is always someone on hand to give you some ideas. 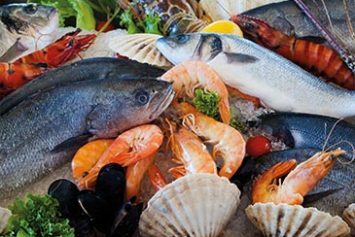 Simply Fish are Looe based fish merchants who supply to the trade but also sell to the public from their shop on East Looe Quay. Expect a wide variety of fish and seafood as well as other delicacies such as oak smoked salmon. Trains run Mon-Sat all year round, and on Sundays from April to October. Travel between Liskeard and Looe in approximately 30 minutes. Hop on roughly every hour Mon-Sat until early evening. Reduced service on Sundays. Causeland is a request stop. To alight here ask the Conductor on the train.